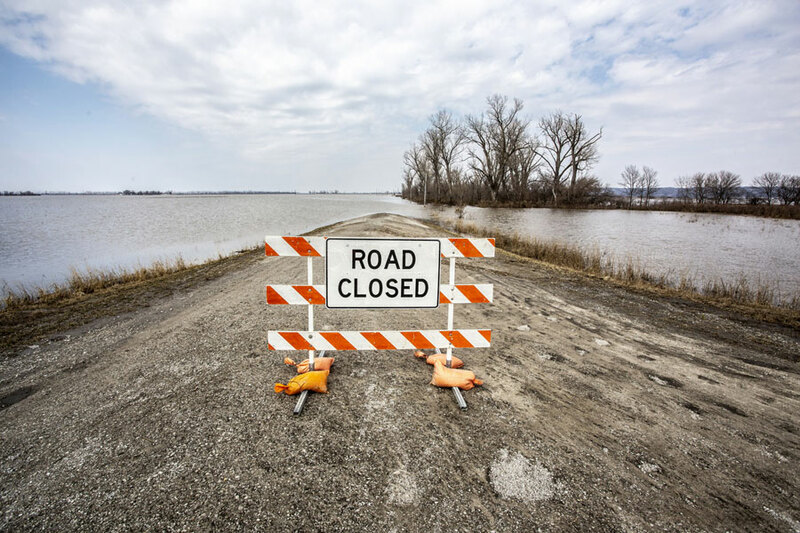 Crecelius said the water has crept back over roads in the Percival area and the parking area around a truck stop at the exit off Interstate 29 is back underwater. “Everyone’s looking forward to these warmer temperatures. On the other side of that, these warmer temperatures mean all that snow these folks north of us got last week is going to be melting and that comes into the river below Gavin’s Point,” he said. The Gavin’s Point Dam on the Missouri River is located in South Dakota. The U.S. Army Corps of Engineers officials announced over the weekend it had awarded the contract for repairs to the levee closest to Percival. Crecelius said it could be some time before those repairs take place, however. Meanwhile, Corps officials continue to work with city crews in Hamburg to fortify the levee southwest of Hamburg that breached last month. Crecelius said roughly two feet of water is still covering the southern end of the community. Meanwhile, piles of flood-damaged materials discarded from homes have been placed curbside by local residents. Due to the ongoing flood conditions, the evacuation orders already in place in Fremont County will remain in place. Crecelius said flood-damaged roads remained closed in the county, but, despite this, some vehicles–including trucks–are still ignoring the road closed barriers. The ticket for failing to obey a “road closed” sign is $195 when court fines are included.